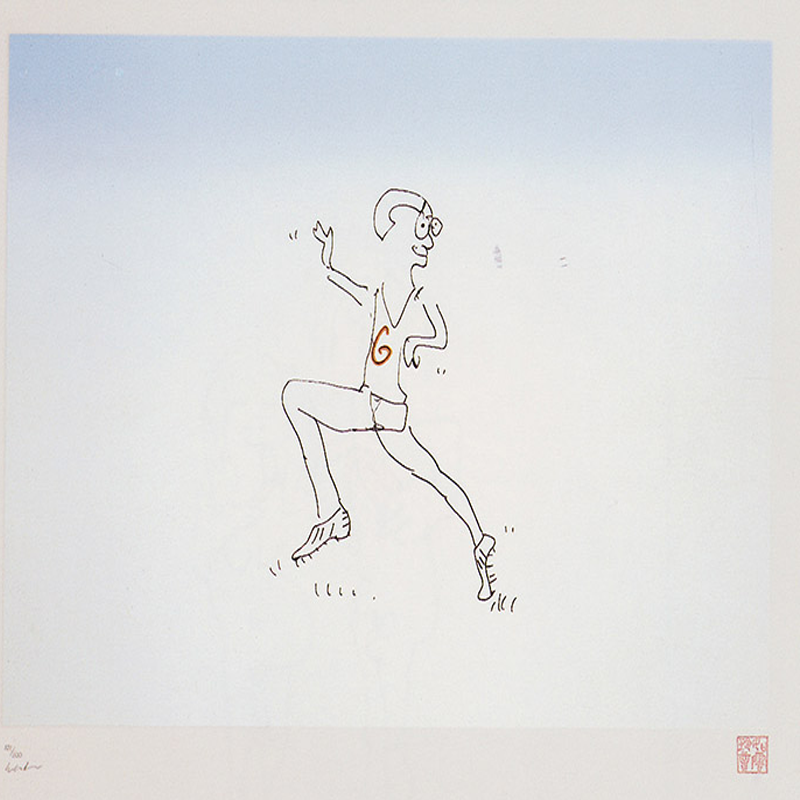 Drawn by John Lennon in 1979, One Day at a Time depicts of a jogger running though Central Park, who turns to wave at John and Yoko. Ono of the Lennon's favourite pastimes was to walk through Central Park; they spent many happy hours there. This was one of the reasons Yoko dedicated Strawberry Fields to the many people who greeted them there with such devotion.